With that backdrop in place King Andrews Vineyards got started in 1989. While our own wine program barely consumes 5% of the grapes we grow, each year selections are made from the various blocks that will reflect the real character of Suisun Valley and Solano County. We have settled on Cabernet Sauvignon, Zinfandel, Sangiovese as mainstays, often blended for reds like Shale Peak Vineyards – Toscano di Solano, while Albarino is the sole flagship white. Several fermentation styles are produced of this incredible Spanish heritage grape to bring forward its depth of refreshing acidity and flavor. Many wines are fermented allowing native natural yeasts to do the work, but not always. Use of neutral french oak barrels for elevage, avoiding overly oak flavors, allow the vineyard to speak clearly. Suisun Valley has signature qualities in smooth but spicy tannins and bright fruit flavors. These techniques help guide that virtue along. 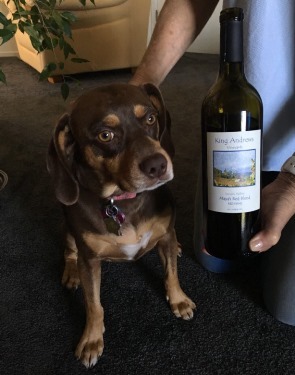 And of course do not overlook Maya and her red blend. Alternative varietals are becoming more and more the focus for grape sales to outside wineries. 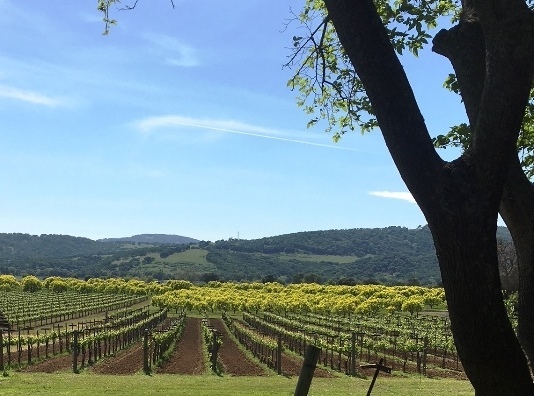 Multiple small blocks have become a patchwork of different flavors and aromas sought by winemakers wanting to explore outside the main stream. Or in case of some, wanting to explore old varietals that have lost fancy but are now presenting incredible results cast in a different growing and winemaking style. An interesting and eclectic group of winemakers sourcing fruit from these vineyard blocks have created vineyard designate and blended wines that have helped define the character of Suisun Valley. Continuing that into the future is the goal, from young upstarts to mature brands. One of he most unique small block white field blends to be found. Started in 2010 and completed to it’s current configuration in 2016, the block is a patchwork of old California white varieties that more typically produced ‘Chablis” in the 1940-50’s. Trousseau Gris (known then as Grey Riesling, Butschera (known as Green Hungarian), Chenin Blanc, Chasselas Dore and Vermentino is the composition. The block is picked as one and fermented together to produce a white heritage wine. We do not make this wine, we work with cutting edge winemakers who produces it. Currently it is under Forlorn Hope label, simply called King Andrews through the 2017 vintage. With great excitement of exploration, beginning 2018 Martha Stoumen will take over the fruit and label it under her namesake Martha Stoumen Wines . We are not aware of another single vineyard with this configuration, nor a white wine that represents a combination of these heritage varieties truly field blended and vinified together in the modern era of hands off in the cellar. We welcome diversity, seek to explore and invite you to join us. Come see us at some local events this spring and summer.